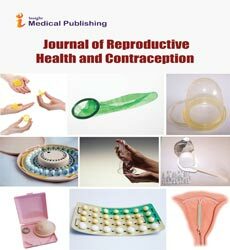 On the occasion of the recent publication of new statistics and frequencies on global abortion rates in The Lancet, it is timely to make some comments on current methods for reducing the number of abortions but more importantly continued efforts to develop more effective and better tolerated contraceptive methods in an effort to reduce their number. The number of induced abortions have apparently decreased in some developed countries; however, minimal changes where experienced in developing countries with many women still having repeat abortions or using abortion as their main contraceptive. Intrauterine contraceptives are one of the most effective means of contraception, are long-acting and are independent of daily reminders. IUDs can be used and are advocated for use in young and nulliparous women who are very vulnerable to unintended pregnancy and repeated induced abortion. Immediate IUD insertion following surgical abortion or medical abortion has been proposed to prevent repeat abortions as many women fail to return for follow-up visits or for contraceptive counseling. All IUDs, regardless of design (framed vs frameless) or content (copper or hormonal), can be used for immediate insertion post-surgical and post-medical contraception. However, as the uterus is engorged and enlarged post abortion, IUDs tend to become easily expelled, malpositioned or misplaced. We describe an anchoring technique utilized in frameless IUDs which helps to solve the expulsion problem, is well tolerated and provides high effectiveness. Frameless IUDs, due to their direct attachment to the uterine fundus, appear to be better retained by the postabortion uterus when compared with conventional framed IUDs. Moreover, the absence of a frame ensures compatibility with the anatomical dimensions of the uterine cavity and may therefore result in improved acceptability and continuation rates in comparison with framed IUDs. The small size and flexible nature of the devices makes them ideally suited for use in young or nulliparous women. Both characteristics of the frameless IUD could serve to effectively reduce the number of induced abortions and repeat unwanted pregnancies.